Today I released a new extension for Restaurant Reservations which will allow you to export your bookings to PDF and Excel/CSV files. Print your bookings for quick reference on the floor, use a spreadsheet to analyse them or extract all the contact details for processing. 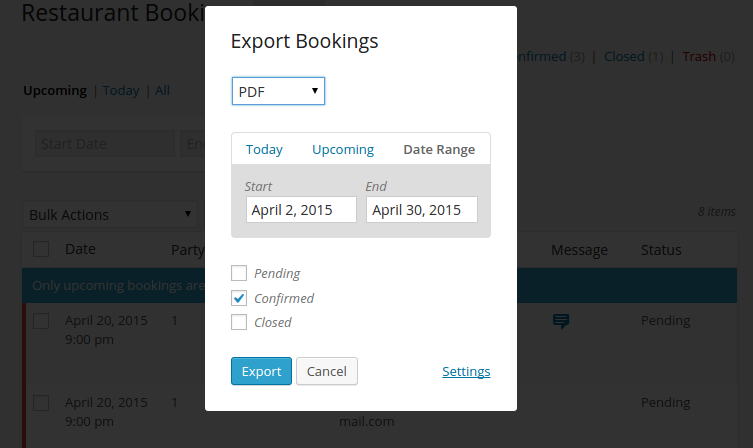 You can export today’s bookings, upcoming bookings or all bookings between any two dates. The PDF export is perfect for delivering a quick reference sheet to your front of house staff. 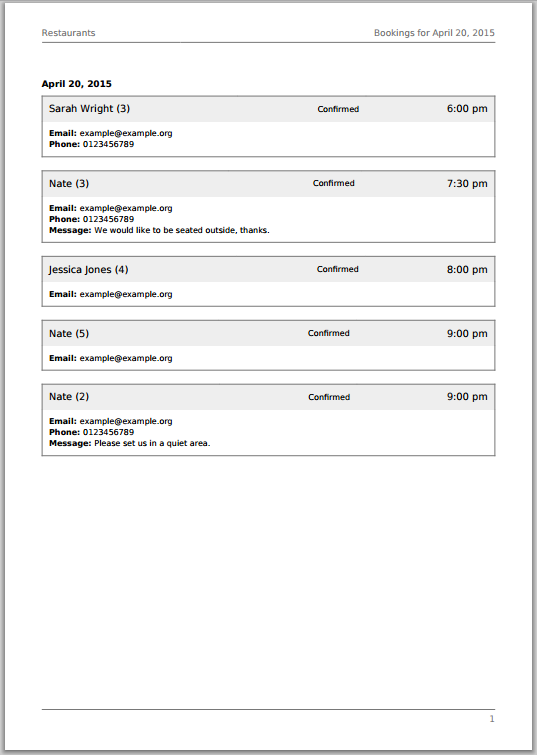 If they need an easy list of the night’s bookings, you can export to PDF, print the file and have it at the ready. 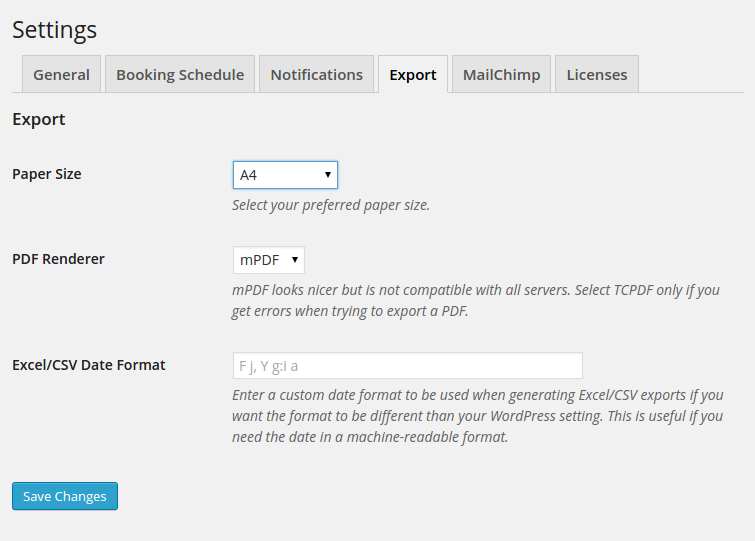 The PDF export will show bookings in order, along with their name, party size and any special requests. You can tailor your export to only export confirmed bookings, so your staff won’t get confused by rejected or pending bookings. The Excel/CSV file will help you view and analyse your bookings in your favourite spreadsheet software, including Excel, Google Docs or LibreOffice Calc. 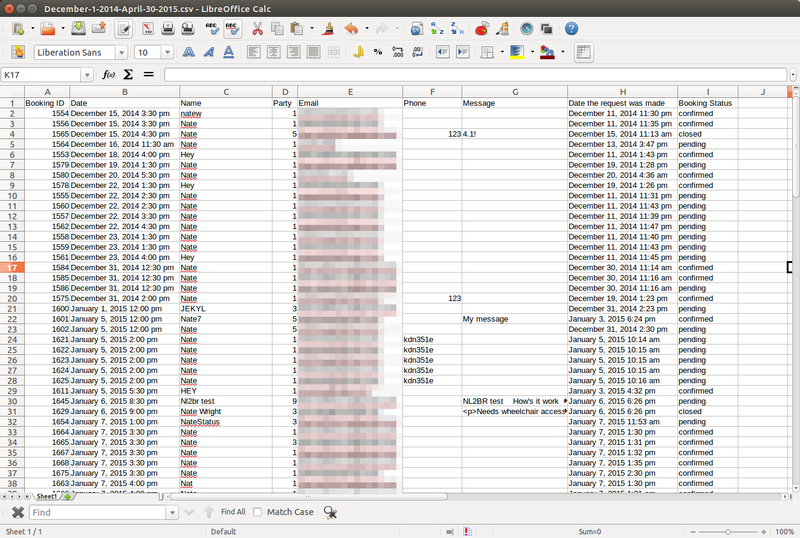 Complete booking data is exported, including the date and time of the booking as well as the date and time that the booking request was made. This can help you analyse your customer base to learn more about who’s booking online and when. With the Excel/CSV export, it’s easier to import email addresses and contact details into your favourite marketing software, from online mailing lists to customer raffle programs. You can also identify regular customers, or see who used to be a regular but hasn’t been by for a while. Setup is a breeze with only a few options. You can activate it and go in most cases. But if you’d like you can adjust the paper size. A minority of servers may experience issues with the PDF renderer, so the plugin comes with a backup renderer as well. If you need to switch to it, you should receive a notification to do so. The PDF templates can be tailored to quickly add or remove information, or completely change the layout. The plugin also includes an extensible base class for Exports so that you can quickly and easily build your own custom exports. It’s available now, so grab it!